Hi! I'm Dewey and I am a jumpy, playful goofball looking for an active family. My favorite activities are running non-stop, playing with other dopey dogs, and cuddling with people once I'm tired. 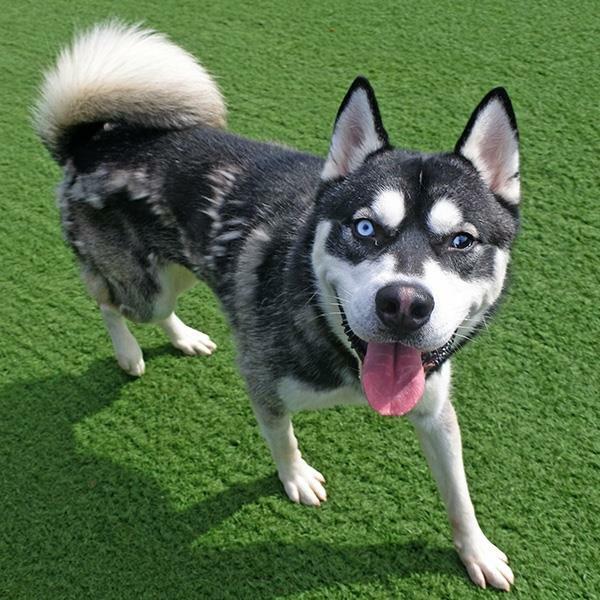 Do you have some Husky or rowdy dog experience and are looking for a sweet, fun-loving fluff to make your life exciting? I am available now, so come down, see me, and ask my Adoption Counselor friends to meet me. He is a neutered Male, 13 months old, Housetrained, Lead Trained, good with Large Dogs, has Rabies vaccinations, has DHLPP vaccinations, microchipped.